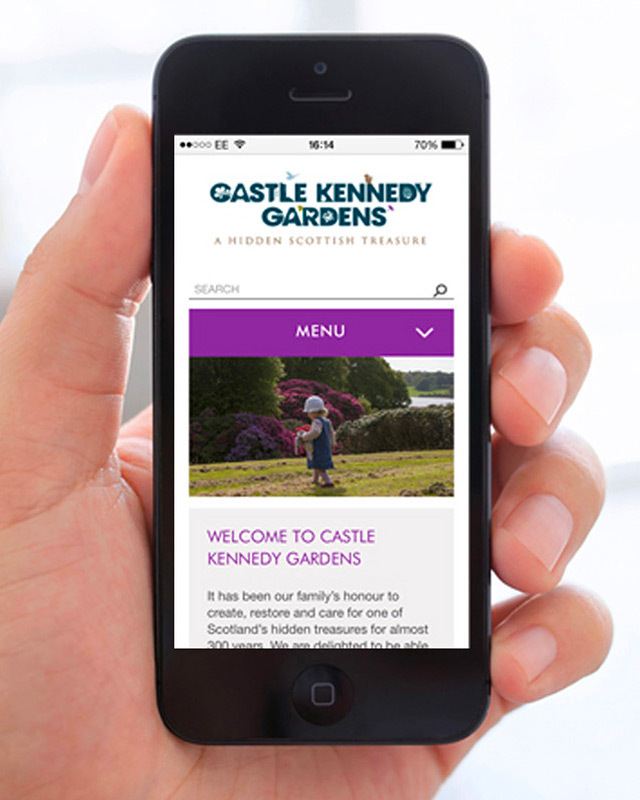 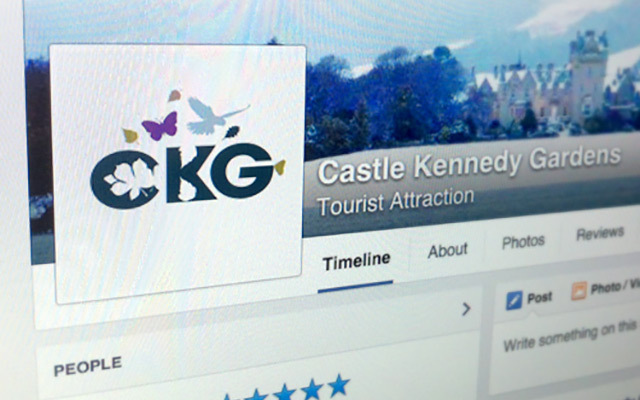 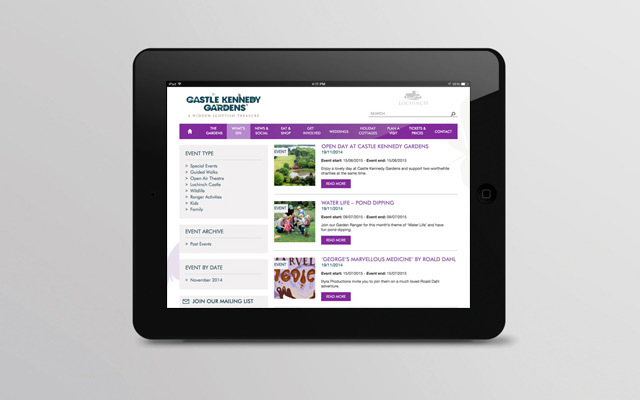 Scotland’s historical landscaped gardens, Castle Kennedy Gardens needed to boost their digital presence to improve reach and increase their tourist appeal. 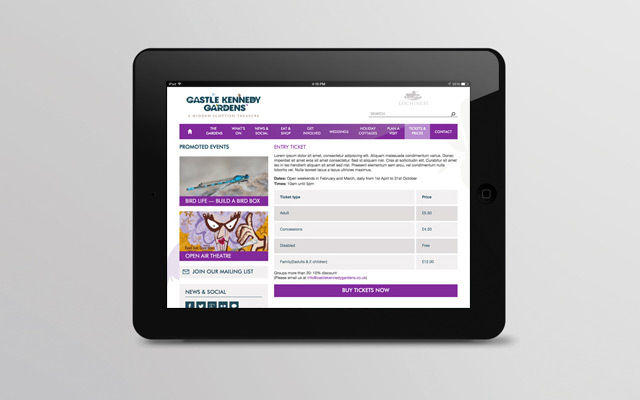 We created a fully responsive, search engine optimised website. 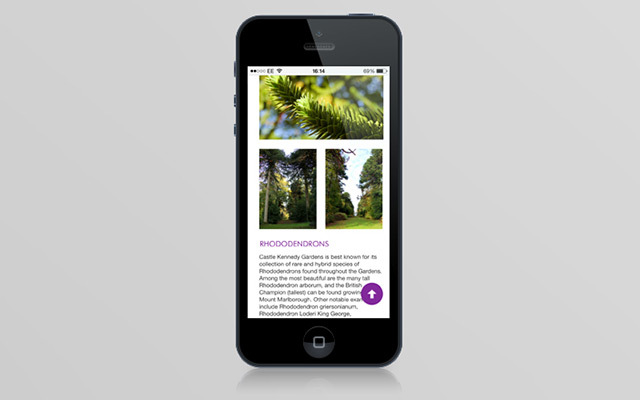 The rich content and imagery showcase the beauty of the gardens, boosted by the interactive 360o views. 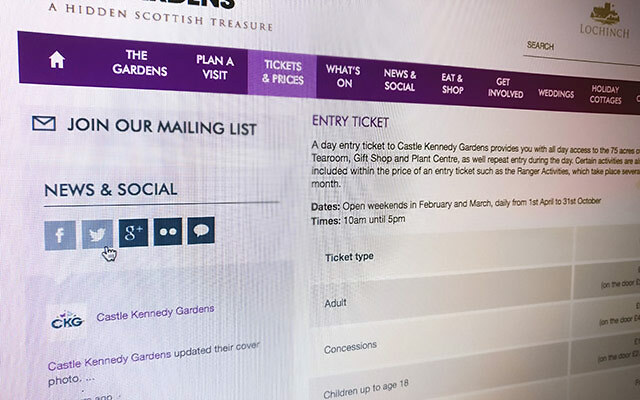 The implementation of a calendar of events, e-commerce and booking engines improved usability and user navigation. 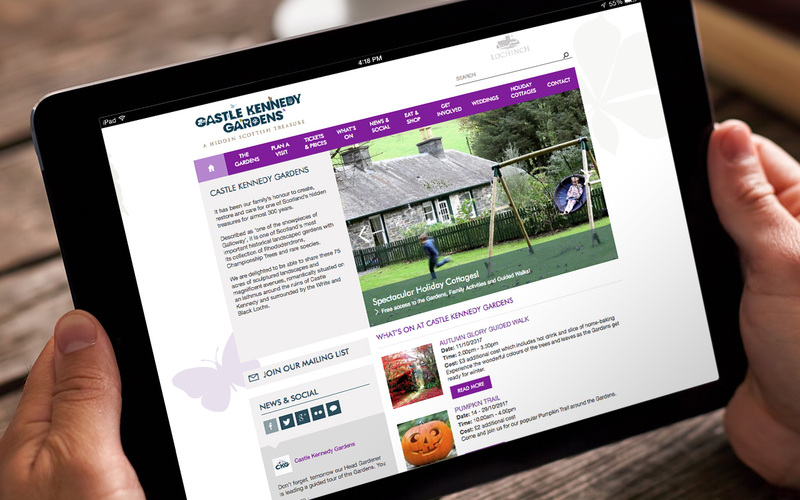 The new site improved Castle Kennedy Gardens’ brand awareness, raising their profile amongst tourists and leading to commercial growth.